Receiving a notice like the one below from Google can be a jarring experience. To protect user privacy, Google policies mandate that no data be passed to Google that Google could use or recognize as personally identifiable information (PII). PII includes, but is not limited to, information such as email addresses, personal mobile numbers, and social security numbers. Many contracts, terms of service, and policies for Google’s advertising and measurement products refer to “Personally Identifiable Information” (PII). You may find in such contracts, terms of service, and policies a prohibition against passing information to Google that Google could use or recognize as PII. There are a few different methods to accomplish this. This will bring up any pageviews that have common emails in them. This is a bit more strict in looking for the full email format. This regex looks for common address inclusions but is very subjective so it will need to be adapted to your own needs. The pipe symbol | is an OR condition. 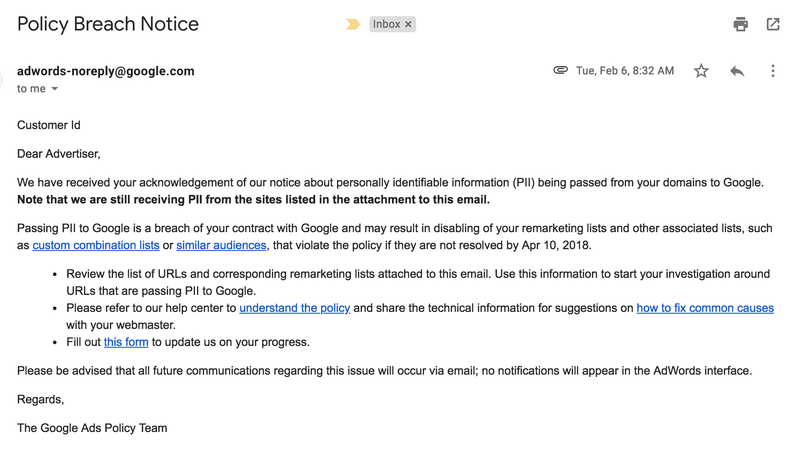 The only real way to remove PII from your own Google Analytics pageview hits is preventing this PII data from being sent to GA in the first place. And the only way to fully protect yourself is by putting a safeguard in place that strips out this data from your hits being sent to GA via Google Tag Manager. NOTE: Filters do not constitute removing this data. Do not put filters in place and think this fixes your issue. 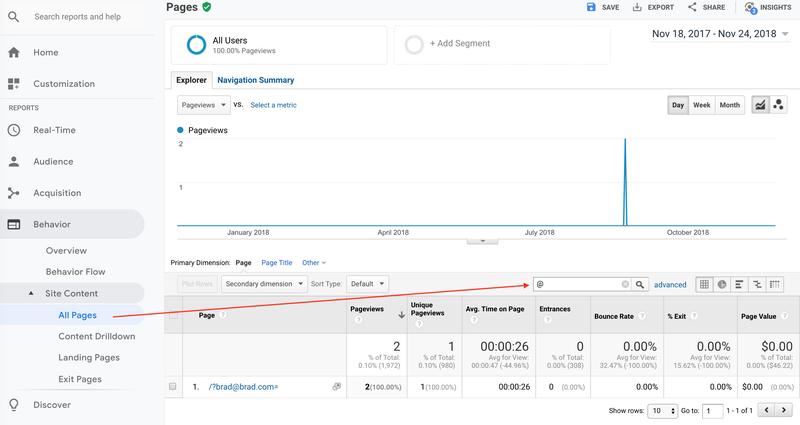 If you are on Shopify then you can use our Google Tag Manager Suite App which has this PII redaction tag already in place. 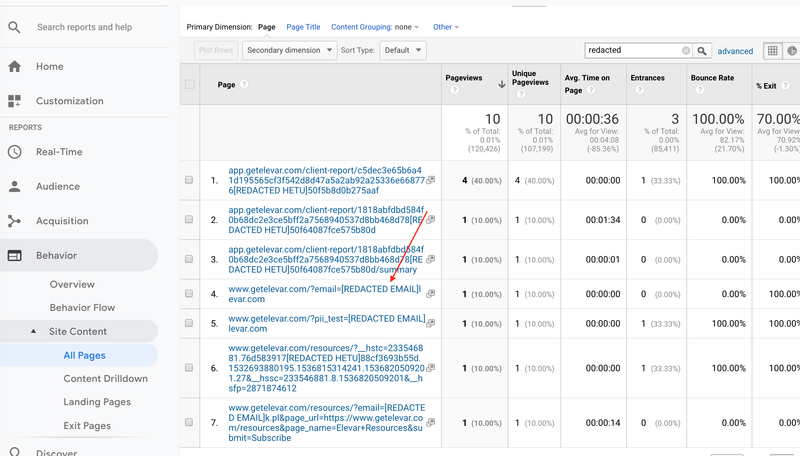 This redaction was made possible by the GTM guru Simo Ahava by utilizing the customTask function via a custom HTML tag that redacts this data within the pageview hit send to Google Analytics. Then it’s time to test. Once you’ve implemented this PII restriction then it’s time to move on to mitigating bounce rate issues.